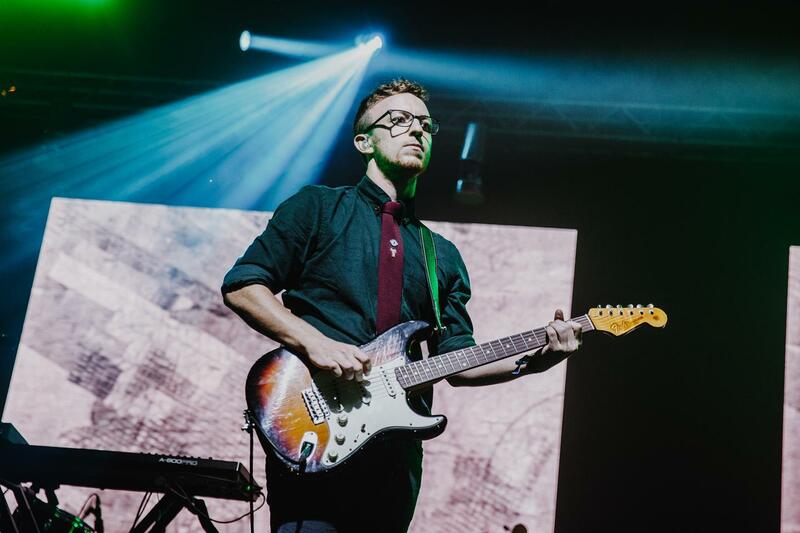 Public Service Broadcasting kicked off Green Man 2018 with a spectacular performance on Thursday (August 16th). 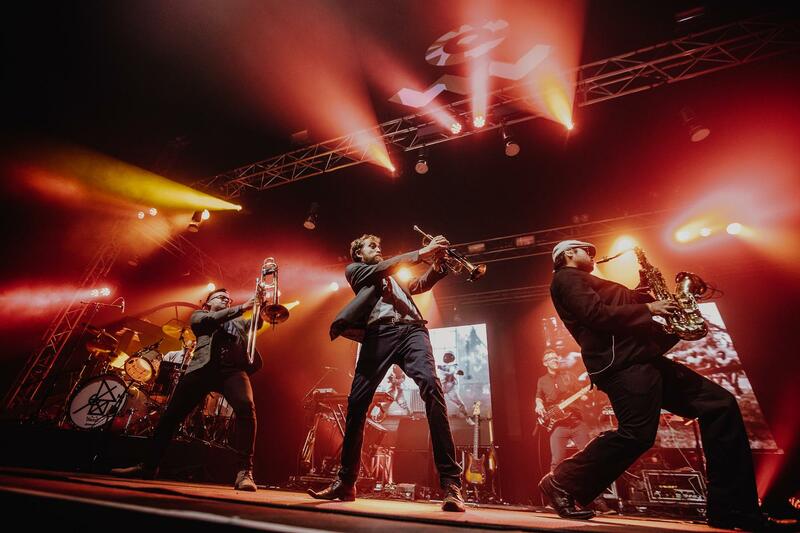 The group recorded their 2017 album 'Every Valley' - a concept album about the mining industry - in the former steelworks town of Ebbw Vale, a mere ten miles from the Green Man site. 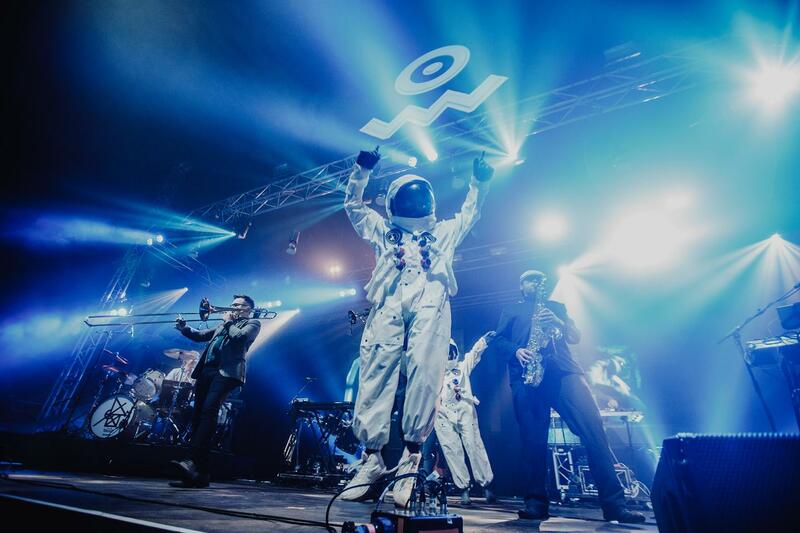 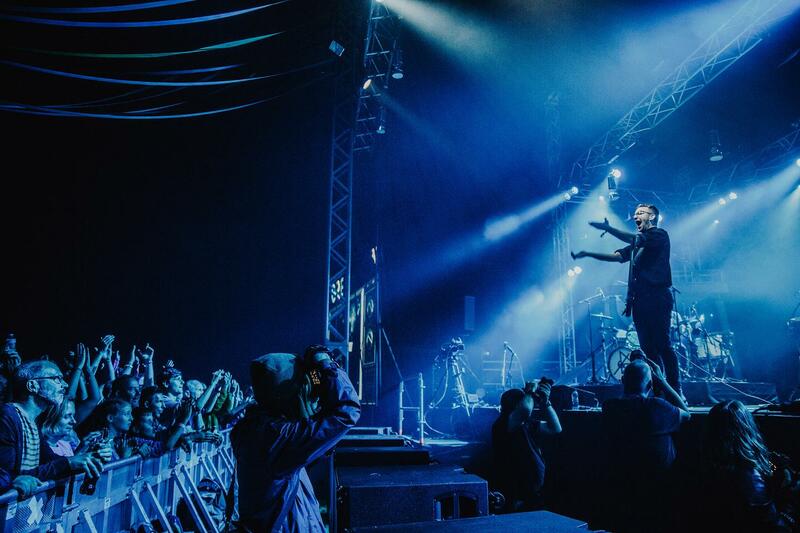 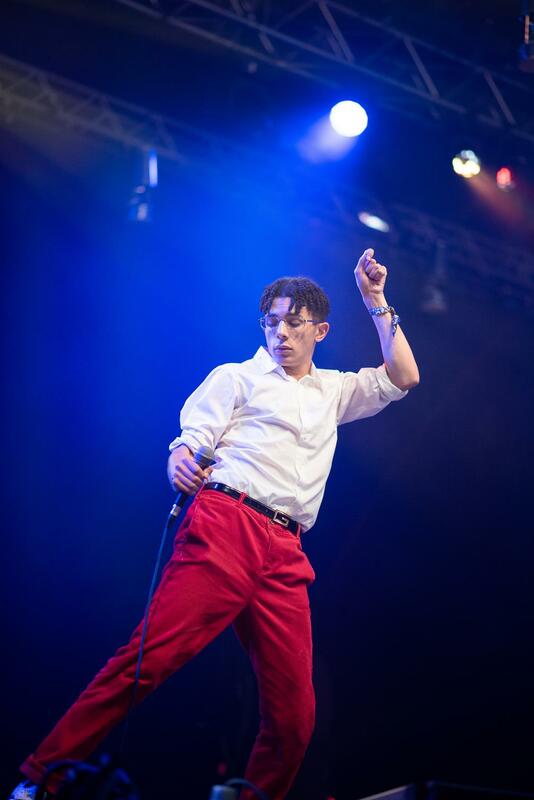 Invited to open the festival, Public Service Broadcasting headlined the Far Out stage on Thursday night (August 16th) and were joined by a host of guests. 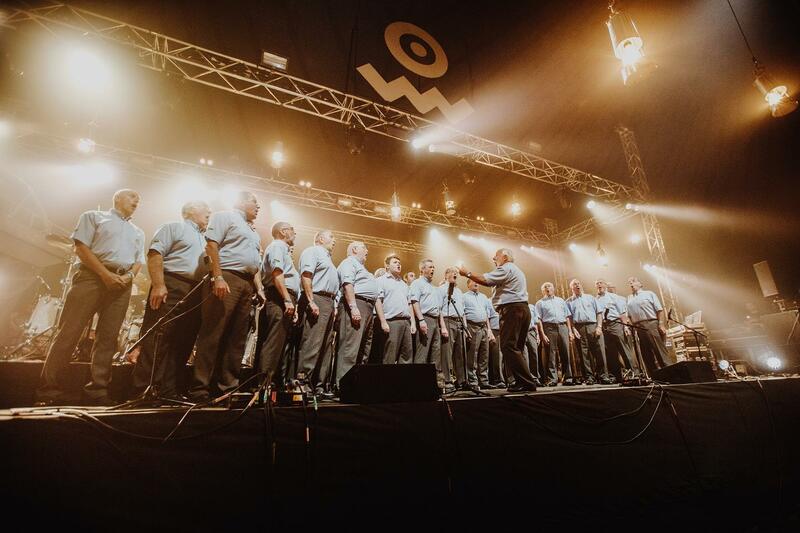 The Beaufort Male Choir emerged to support the group - one of Wales' oldest male choirs, it was reconstituted in 1947 and taps into that historic lineage of Welsh choral singing. 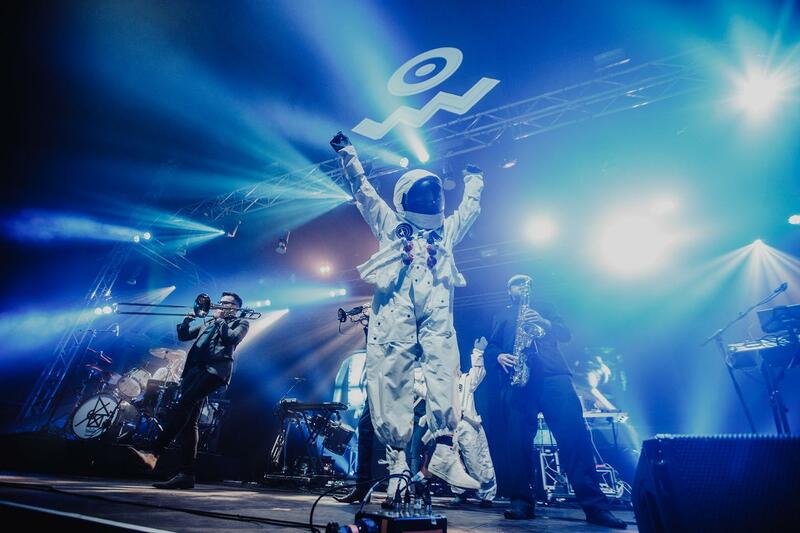 Green Man is now well under way - check out some snaps from Public Service Broadcasting's performance up top.